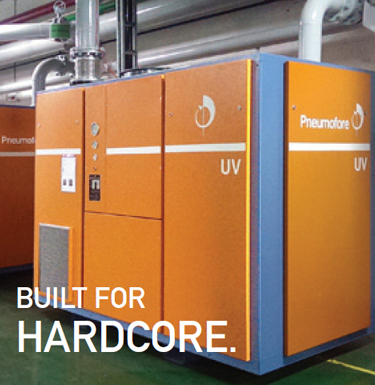 Pneumofore UV series vacuum pumps operating in pharmaceutical industry have proven to be successful and the most suitable solution for the manufacture of medical glass containers and healthcare products. Recently this field of application has been expanded by a new installation used in the production of pharmaceutics. 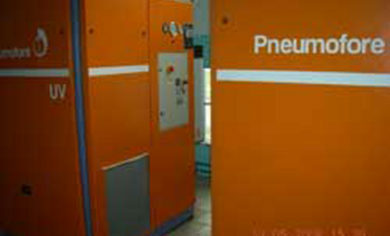 The project was launched in June 2007 by a visit of UP Naliba engineers and Pneumofore Chief Executive Officer, Eng. D. Hilfiker, to Borisov factory of medical drugs. 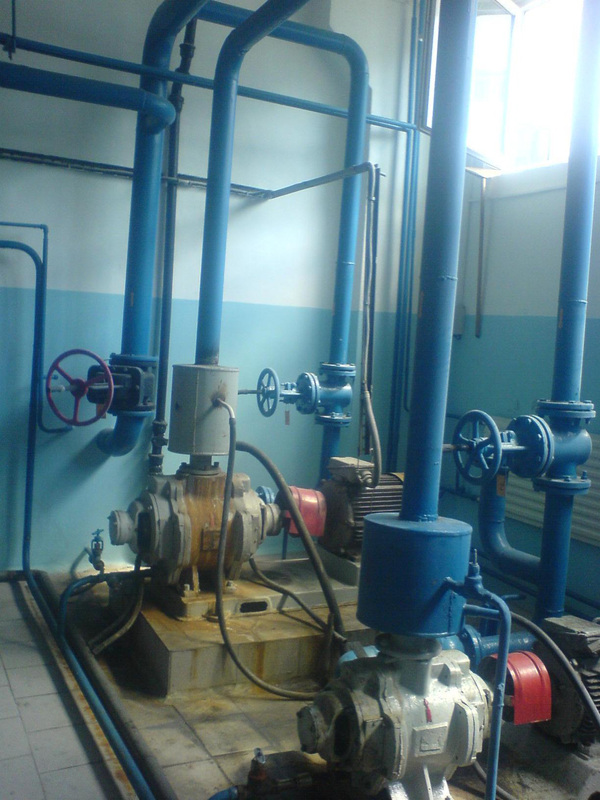 The installed system consisted of three liquid ring pumps of Czech manufacture with 30 kW of nominal power each, thus total power amounting to 90 kW (Fig. 1). The system included also two liquid ring vacuum pumps in stand-by of lower capacity (Fig. 2) and two receivers of 5 and 8 m3. 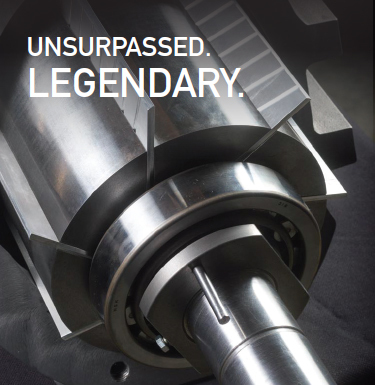 The system was running on 120 mbar(a) of residual pressure despite the fact that the production process required 100 mbar(a) maximum: the liquid-ring pumps were unable to reach the requested pressure. 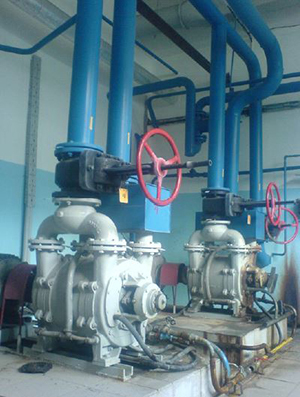 Moreover, the system was equipped with a flow system of water supply. The water temperature had to be kept constant at 16°C, which, in its turn, brought to an additional energy consumption. 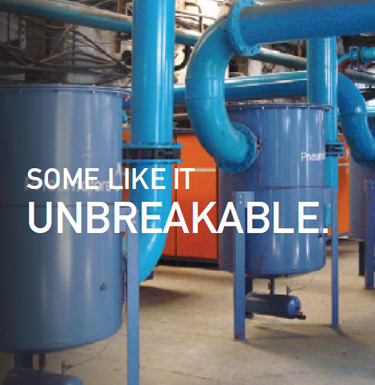 Last but not least, the plant produced from 50 to 60 liters of condensate every day. – elimination of water consumption. 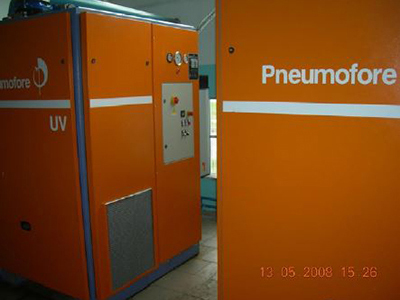 Pneumofore proposed its system consisting of two UV16 vacuum units (Fig. 3) with frequency converter and one automatic vacuum condensate drainer mod. TV100 (Fig. 4). After the commissioning, the customer was able to measure the difference immediately. The vacuum was set at 100 mbar(a) and it remains constant in every single phase of the vacuum pump operation. The power absorption is 36 kW.The energy consumption decreased considerably. Taking into consideration that the system is working at 35 Hz, the energy consumption is 2,5 times less than it was before. 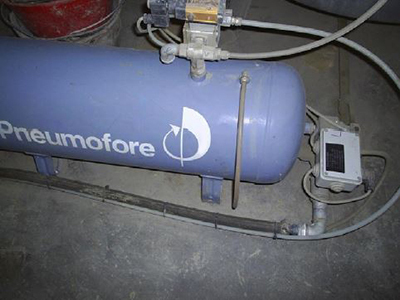 The water supply system has been eliminated thanks to the air cooling feature offered by the Pneumofore vacuum pumps. Furthermore, the automatic condensate drainer guarantees a reliable operation of the whole system. Hence the investment, though substantial for the producer of pharmaceutics, proved to be advantageous from every point of view. In terms of financial resources, the payback time is two years only. This period has been calculated on the basis of the “Law of the Republic of Belarus on Energy Saving” and the “Decree of the Council of Ministers of the Republic of Belarus” #1583 and #1232, and the Instructional Guidelines of the State Committee on Energy Saving dated 5 September 2000.